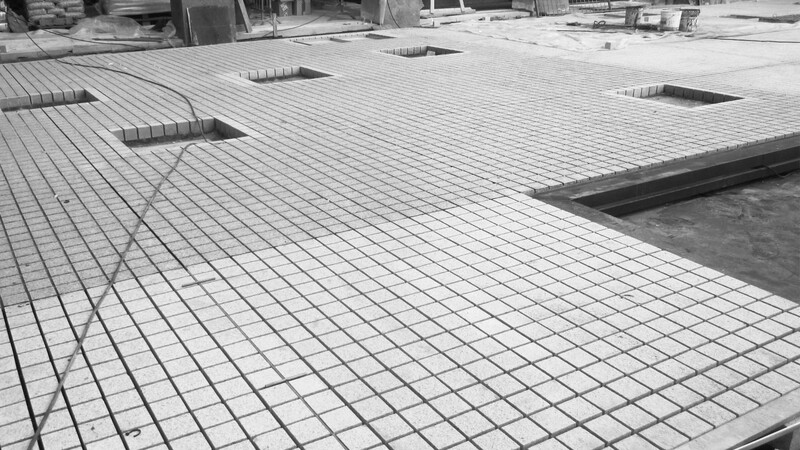 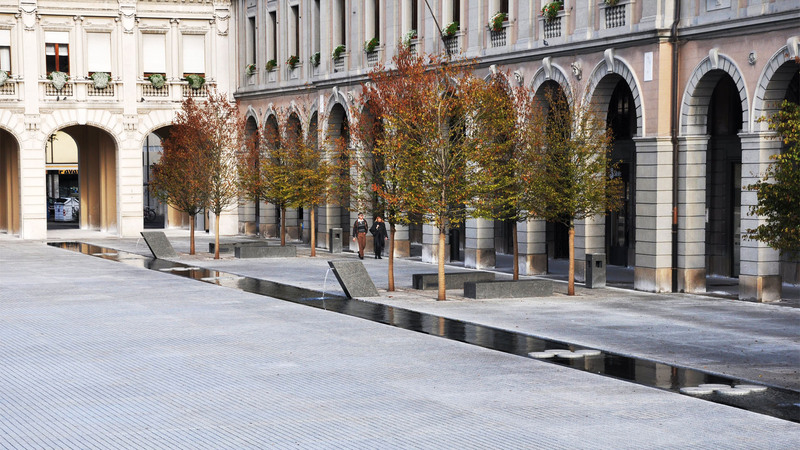 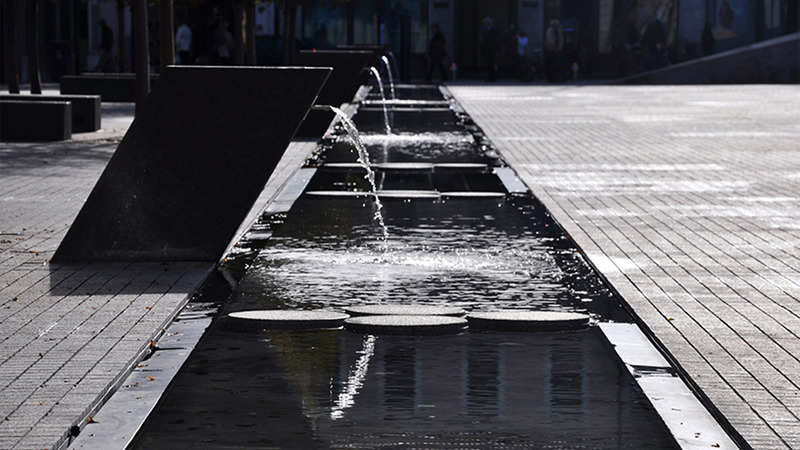 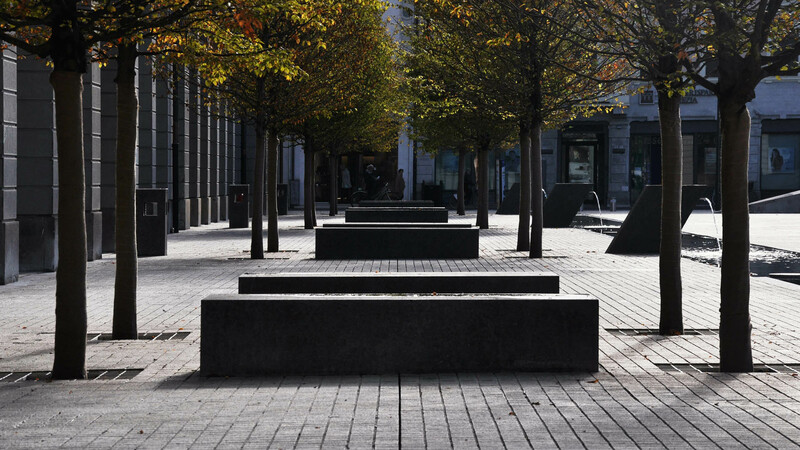 The regeneration consisted of a series of actions aimed at transforming the previous square in an authentic public space: a large pedestrian-only area of over five thousand square meters, able to accommodate public events and big audiences. 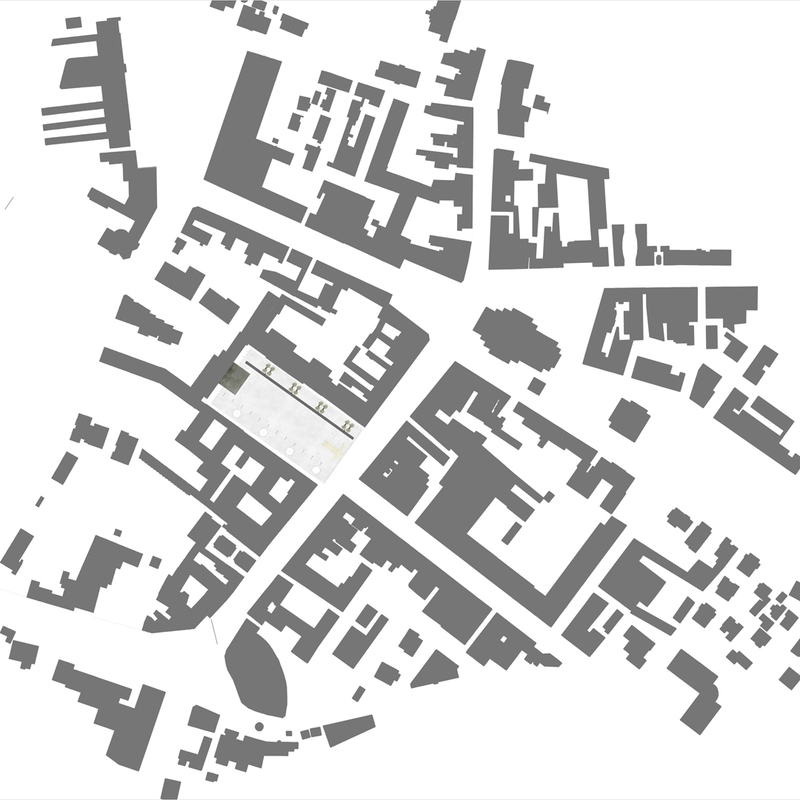 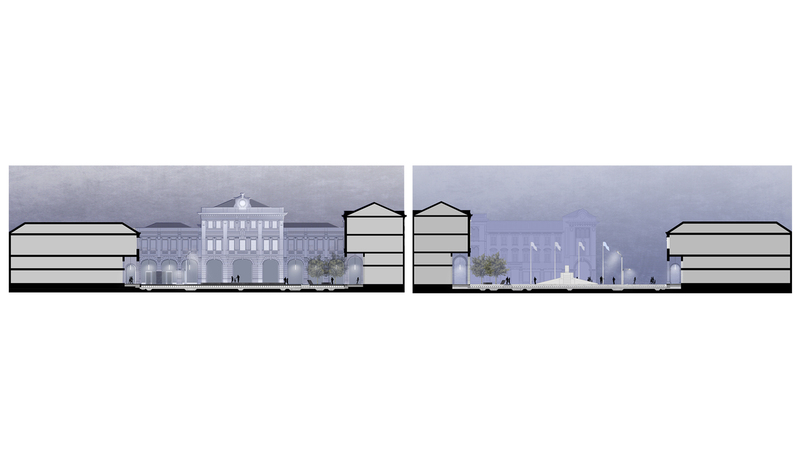 The central area of the square is spatially extended over the edge of the porticos on three sides, meddling with the south boulevard that connects the Duomo to the bridge over the Piave river. 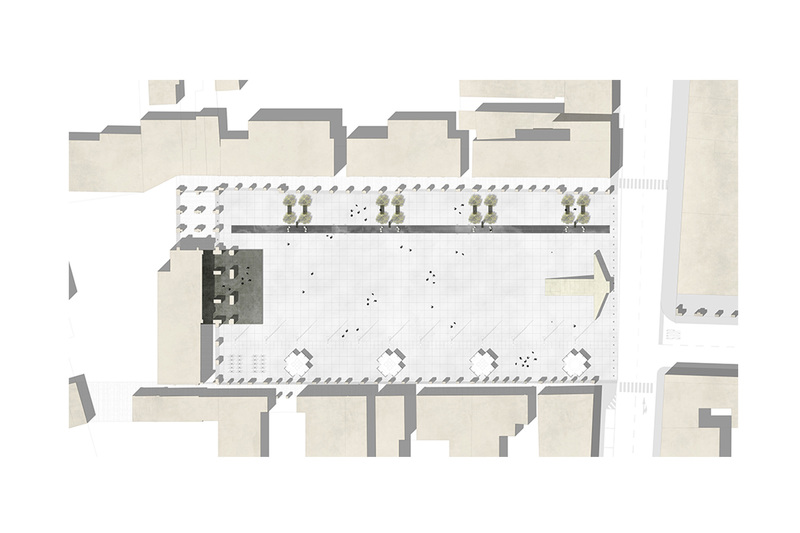 The Bank building and the Town Hall, both works of Camillo Puglisi Allegra, become the architectural elements that generate an effective public space. 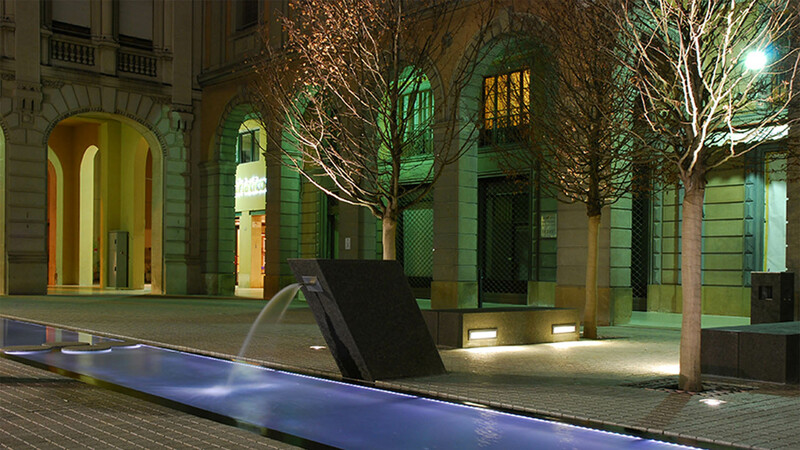 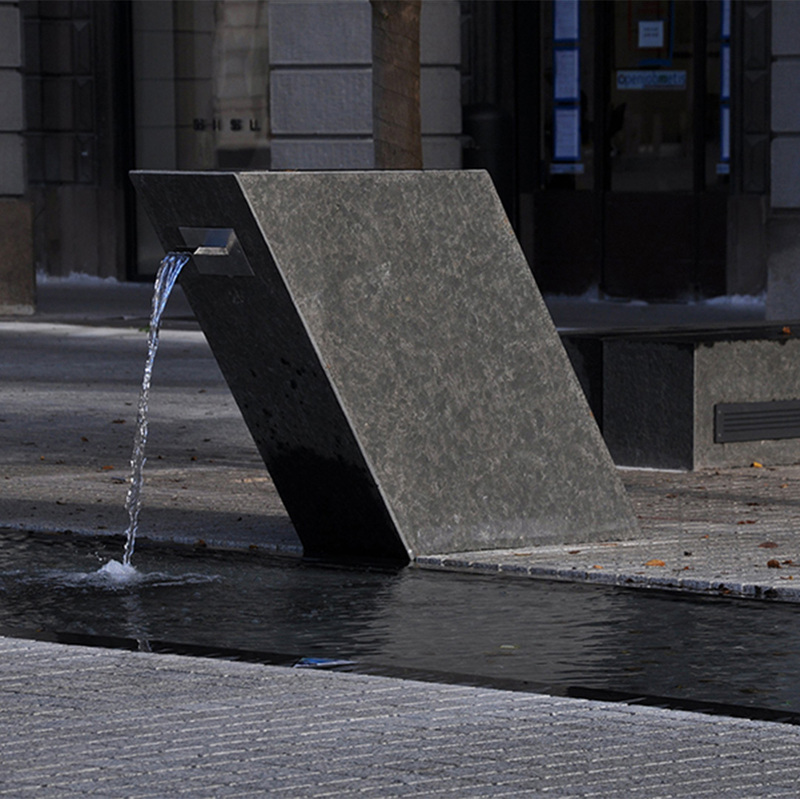 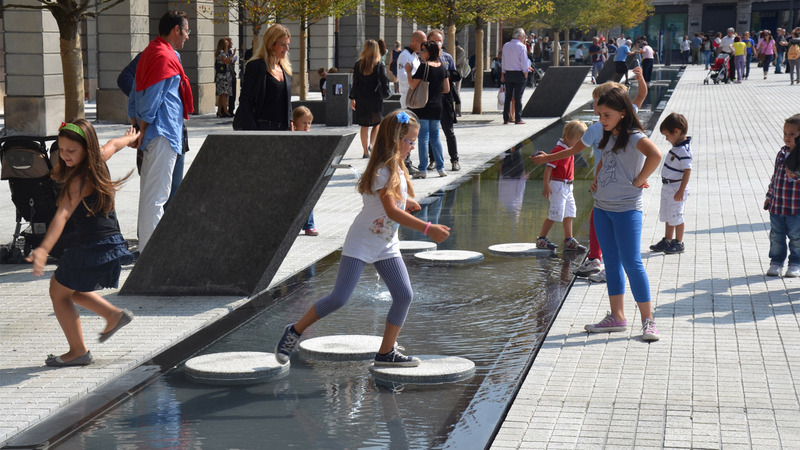 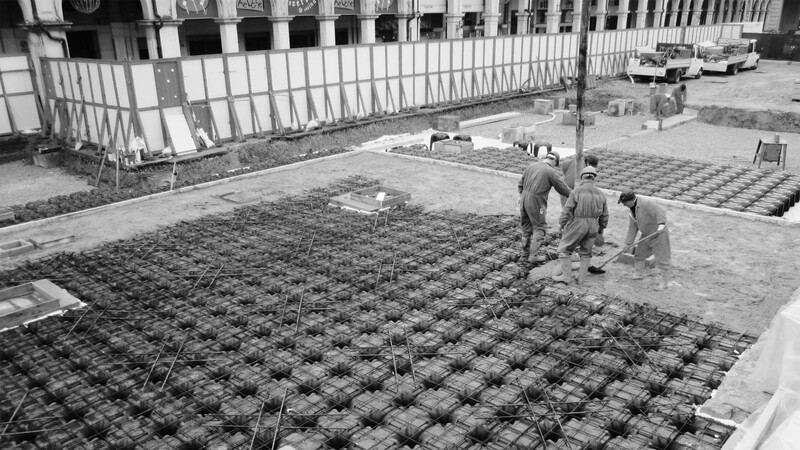 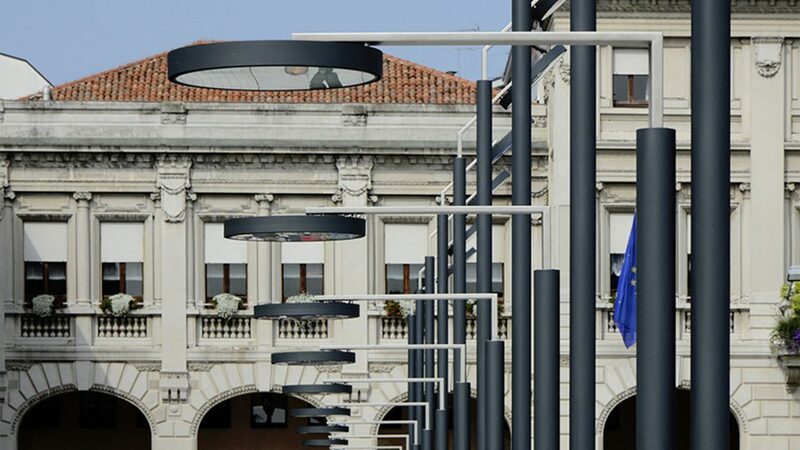 This square is a symbol of the desire for aggregation and public sociality, so we believed that it should continue to host, in proper position, the memories evoked by the monument to Ancillotto, which previously was in the middle of the space: we decided to move it at the edge of the boulevard. 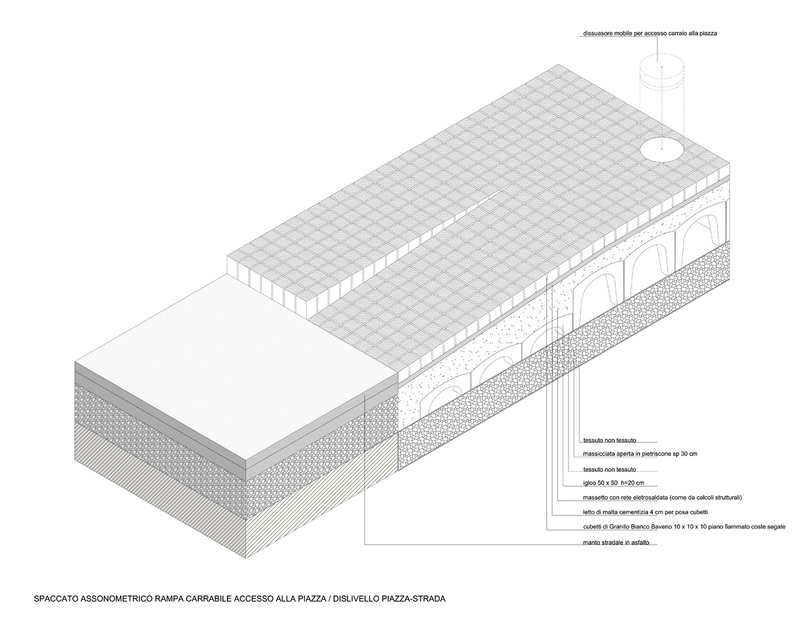 This new public space can be compared to a nave of a basilica without the cover. 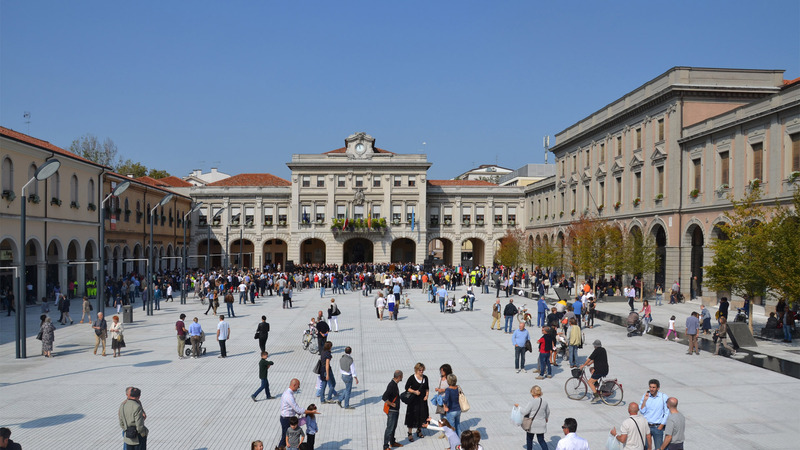 This square is a symbol of the desire for aggregation and public sociality, so we believed that it should continue to host, in proper position, the memories evoked by the monument to Ancillotto, which previously was in the middle of the space: we decided to move it at the edge of the boulevard. This new public space can be compared to a nave of a basilica without the cover.